The Volvo XC90 is the Swedish automaker's flagship SUV, and a flagship in general for advanced driver assistance, active-safety features and technology. As such, the XC90 is a legitimate rival to the Acura MDX, BMW X5, Audi Q7 and Infiniti QX60. Issues to be aware of are the finicky touch-based infotainment system and T8 Plug-in Hybrid model's powertrain refinement. Beautiful interior with excellent sound system. The sound system is amazing. The comfort of the seats is outstanding. There are features that can make the seats very comfortable. The biggest issue I have is with the computer. The computer has shut down spontaneously a few times now. The computer will freeze. Also, the computer is hard to navigate while you are driving. The interior is very aesthetically pleasing. The car drives very smoothly, and has excellent safety features. however, sometimes the automatic breaks which prevent you from getting into an accident can react when they do not need to and that can be startling. Safest luxury car. That provides safety, security and a peace of mind. My Volvo xc90 is the best and I feel safe driving as it warns with many safety alerts. Which includes blind spot warning, speed limit warning, when you are too close to a car. Parking assist makes your life much easier. I totally recommend this vehicle. I has 6 month old twins, it is a great safe family car with lots of room for storage and passengers. Comfy seats and auto air control. I could go on and on about how great this Volvo is but lastly, I will add it the great drive assist is amazing. The car could practically drive itself. Volvo xc90 is first class. Roomy, smooth driving, technology and safety features are top notch - specifically back up camera, parking assist, and motion sensors. Bluetooth and compatibility with iPhone is another plus, including voice reading of text messages while driving. We upgraded to bowers & Wilkins Sonja system which is phenomenal. Lots of cargo space and 3rd row has plenty of room. A great family car with loads of space that does not drive like a truck. 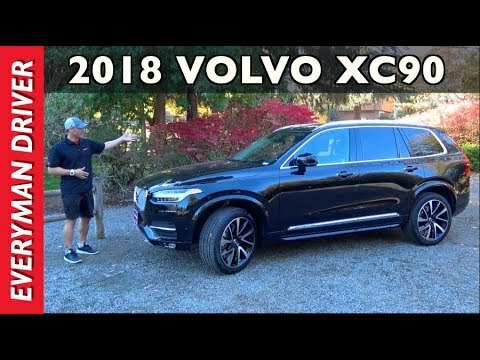 We have owned several Volvo�s but the xc90 is definitely the best.